Brewery Bhavana, named one of America’s Best New Restaurants by Bon Appetit magazine, is a combination dim sum restaurant, book store and flower shop. It is also a first-rate brewery with 10 core beers and a variety of provisional brews. At first, Bhavana focused on Belgian beers but has since expanded to beer styles from other regions. It also has a robust sour program with a constantly expanding wood cellar. 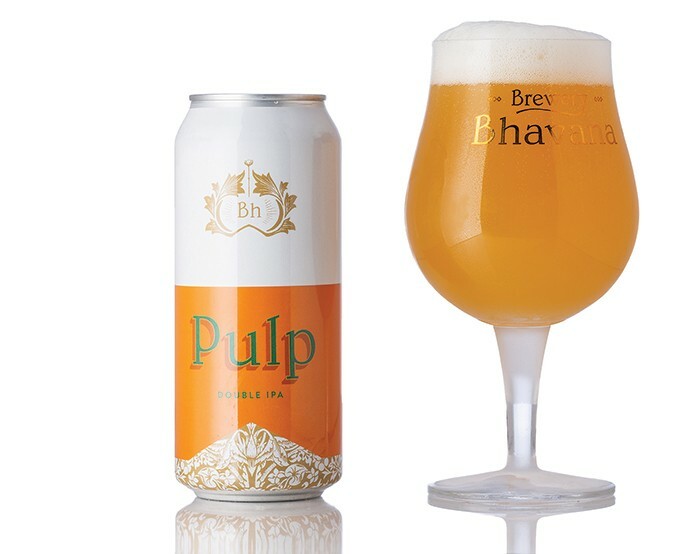 Pulp, a Double IPA from Bhavana, is a juicy IPA that just happens to also be hazy. Patrick Woodson, Bhavana’s head brewer, says he would never describe his IPAs as hazy. This is because if the beer becomes clear over time, the haze will not affect the taste all that much. Pulp is brewed with Galaxy, an Australian hop that is very trendy with brewers. It is also hard to get due to high demand. Pulp has a fairly prominent lime and candied lychee fruit aroma from the hops. There is a noticeable biscuit character that borders on nutty toast. Nuttiness in lighter beers is commonly from the addition of malted oats. The beer has a light orange hue. The head is eggshell in color, with good head retention and about one finger tall. The bubbles are tiny, and they will leave an almost continuous lacing in the beer glass. The beer itself is so hazy that it looks closer to orange juice than a brilliant lager. This juice-like haziness is a sign of quality for juicy IPAs. While clarity in this style of beer doesn’t mean bad, the hazier the better for most nerds. Upon tasting, Pulp has pine sap and green tea herbal notes. This is a departure from the candied fruit on the nose. The nutty and biscuit flavors are keyed up in the flavor as well. There is a low pear and apricot character from the yeast — a departure from Bhavana’s other beers, most of which are very yeast-driven. Pulp finishes bitter and is decidedly hop-balanced, but the malt profile is higher than in other Double IPAs out now. Pulp has a low creaminess from the protein used to form the haze. It also has a medium-full body and a low hop astringency. Many times keeping an IPA hazy but also trying to ferment more of the sugars out, can result in a little hop astringency for the drinker. If this sounds negative, it’s not! 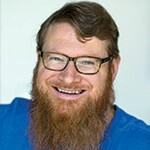 The bitter and astringent flavors from hops are, after all, the reason they are used in beers. Overall, Pulp is a bitter, piney Double IPA with a delicate aroma and 7 percent ABV, which is a lower alcohol level than many of this style. That means you can enjoy more of this hoppy, bitter IPA.